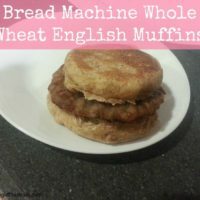 After I dropped off Allison at school this morning, I came home and got straight to work on these Whole Wheat Waffles! It took me about an hour to cook a double batch. 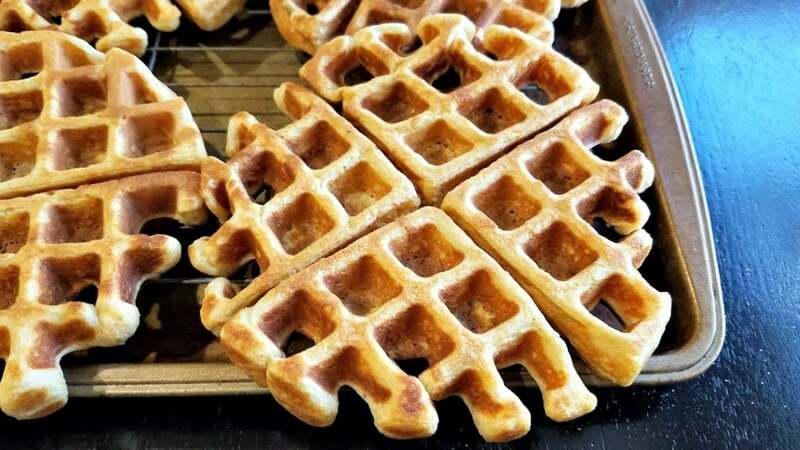 The only bad thing about making waffles is that it feels like they take forever to cook. However, I made myself be productive during the minute or so that each waffle cooks. And holy cow, you’d be surprised at what you can accomplish in one minute. It may not seem like much, but I try to take advantage of little pockets of time whenever I can. Plus, I listened to the Business Boutique podcast the entire time so I was doubly productive! 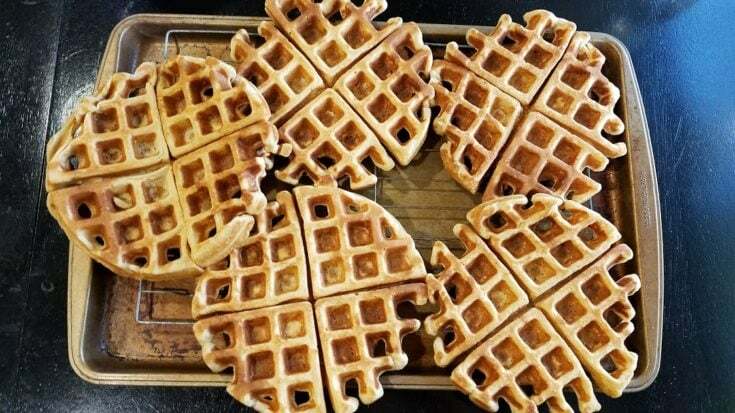 I placed each waffle on a cooling rack as they finished cooking and ended up with 14 waffles. And I was able to carefully set all three cooling racks on top of each other in the freezer. Once they froze completely, I put them into two freezer bags. When it’s time to eat them, I’ll put one still frozen in our toaster oven. A regular toaster would work too. Either way, they’ll both turn out crunchy, as if they were freshly made. 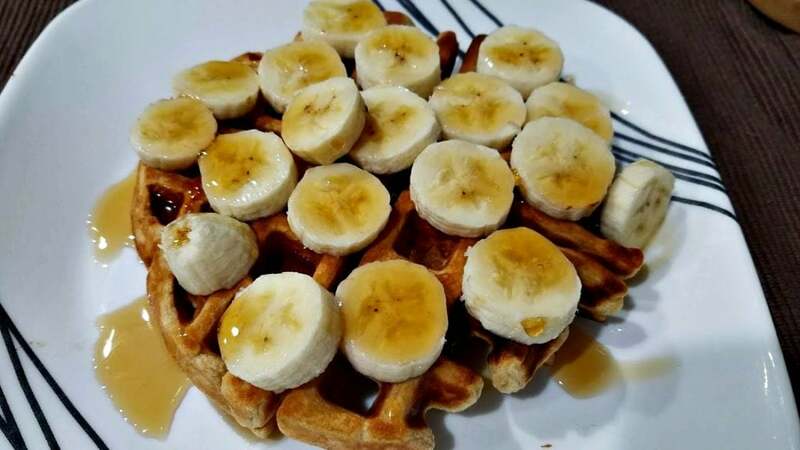 We usually put maple syrup on top of ours; I also like adding any kind of sliced fruit. Usually bananas, but I’m also a big fan of strawberries. 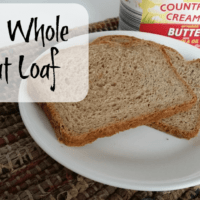 Note that the recipe below is only for a single batch, so make sure you double the recipe if you bought the ingredients! Add the wet ingredients and mix until combined. 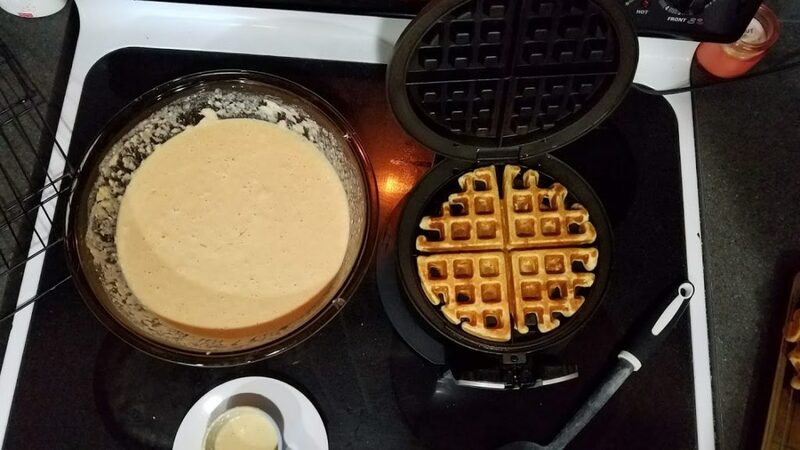 Using a half cup, pour the mix into a greased waffle iron and cook according to your waffle maker's instructions. Adapted from Real Life Dinner. 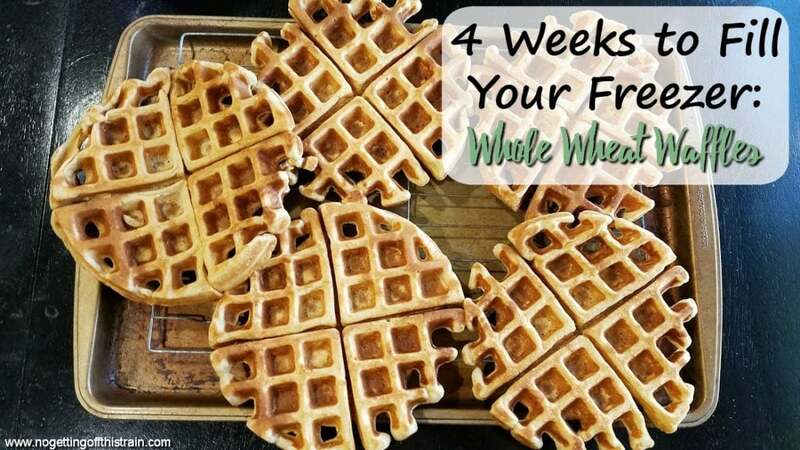 To freeze, place waffles in a single layer on a cooling rack, then place in the freezer. 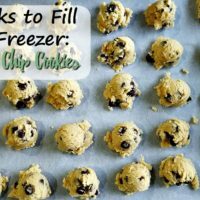 Once they're completely frozen, transfer them to a freezer bag. 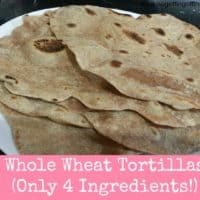 Whole Wheat Tortilla Shells- Only 54 Cents Per Batch!